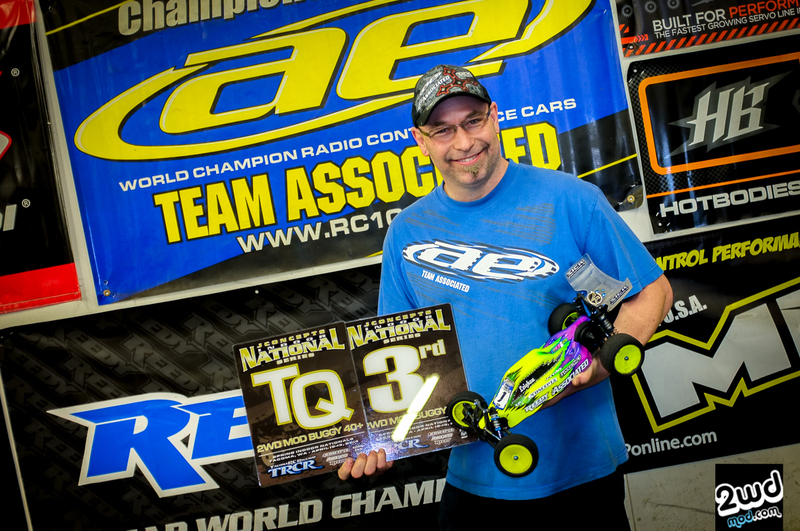 I also wanted to say thanks to Scott Brown for hosting this year’s JConcept’s Spring Indoor Championships at his track, TRCR. 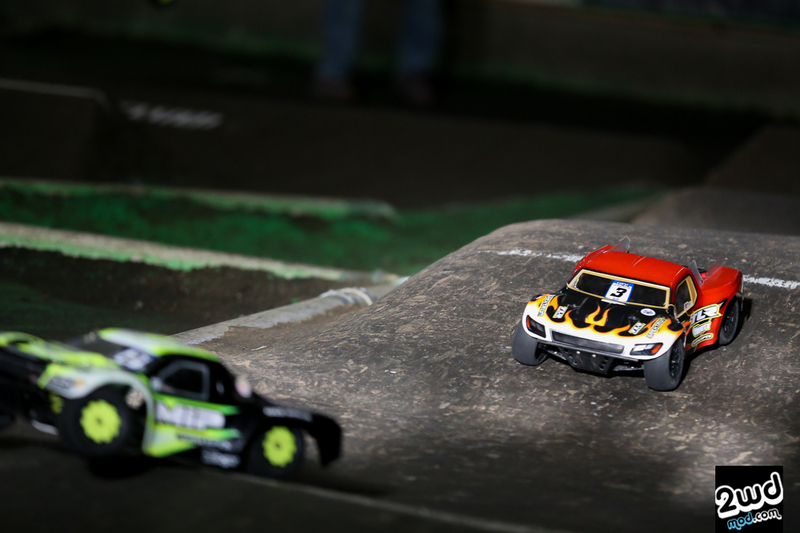 Thank you so much for bringing this wonderful race to the NW so we can experience it right here in our backyard. 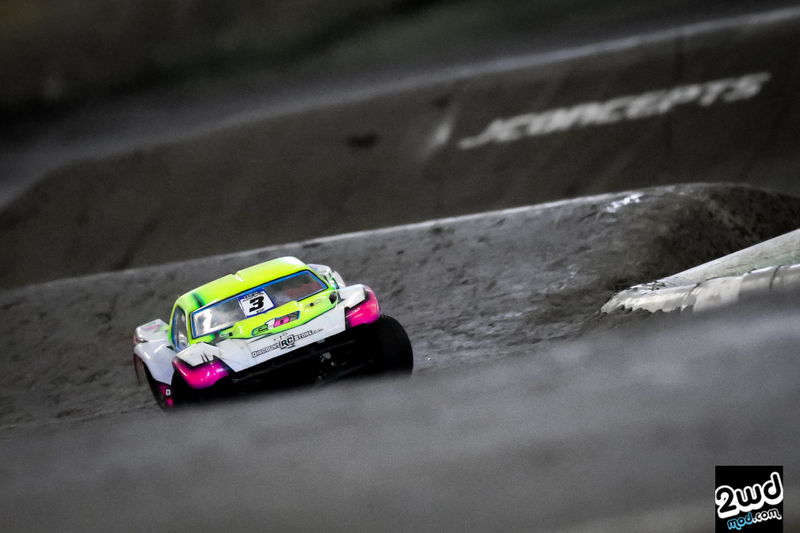 I’m sure I speak for everyone so on all the racer’s behalf….THANK YOU!!! 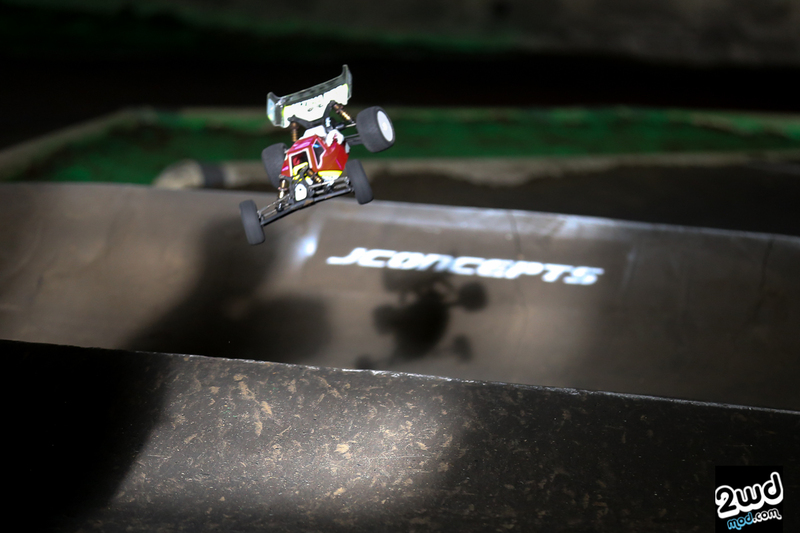 My hope is to build the awareness and add to the excitement for next year so that JConcepts will bring this race back for another year and hopefully for many more years to come. It was such a blast and I can’t wait for the next race in Chico! Scott also is an awesome RD as well, which added to the overall experience of this race. Cheers to him and his crew for an awesome facility. 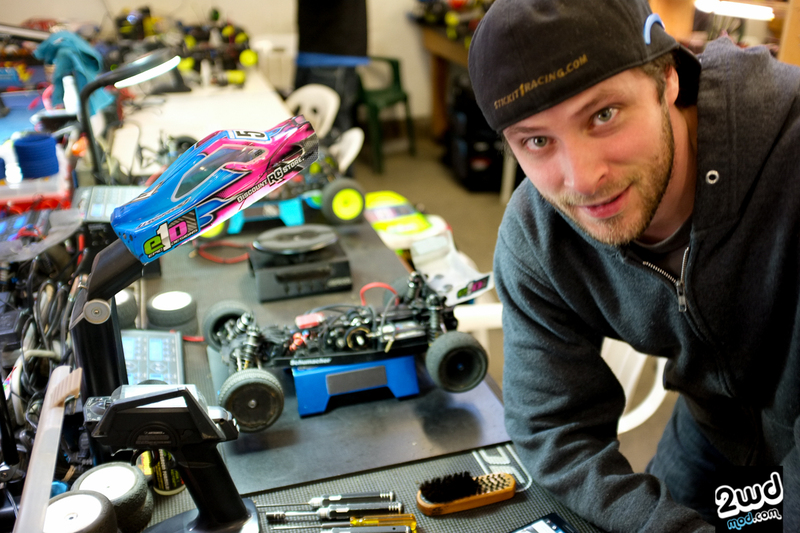 Also huge thanks goes to Jason Ruona for what he’s accomplished with JConcepts and elevating the entire industry to a whole new level. 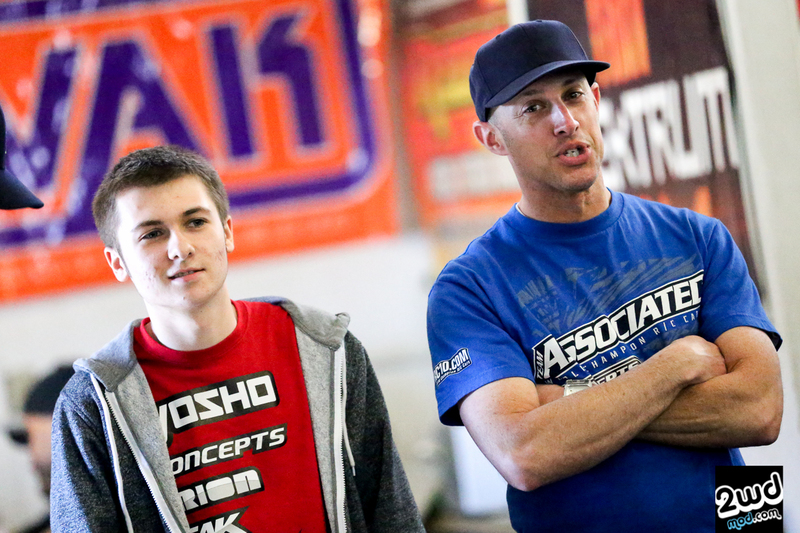 I think with the right people in place, the sport will only grown and get bigger in years to come. My goal is to be a part of that movement. Just a few generations inbetween…. 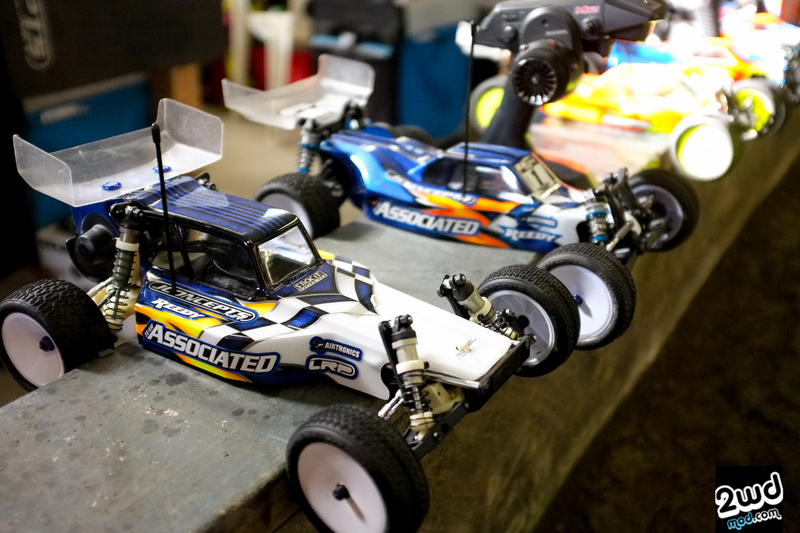 Jason Ruona’s RC10 Worlds and his B5M ready to rock. People like this only makes the RC community better. Awesome weekend Big Ron! This is Mikey Brown’s, “I’m not from Portland” hipster beard at JCon14. 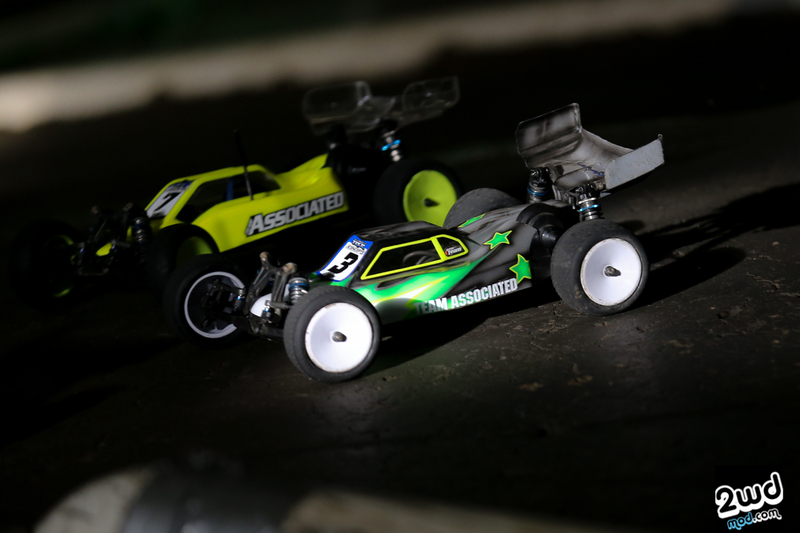 A glimpse at TLR’s JC Johnson’s pit secrets……looks like he’s up to no good! 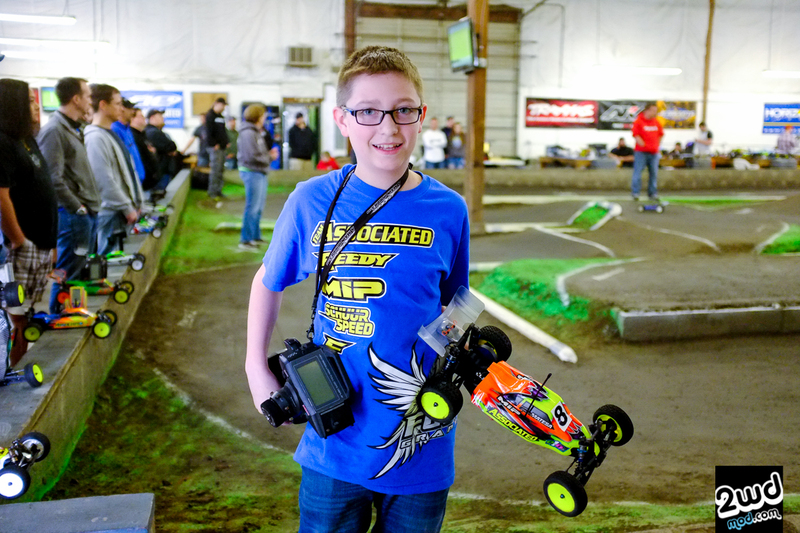 Future star Mr. Tanner Matesa from Team Associated looking sharp. Car looking little heavy. Double E in the house represent! 2nd time to see Tyler Vik and this time he’s running Xray gear. His 4wd looked unreal! Uh Mr. Marty Barnes…… what are you doing here? I thought you said you wouldn’t buy raffle tickets. 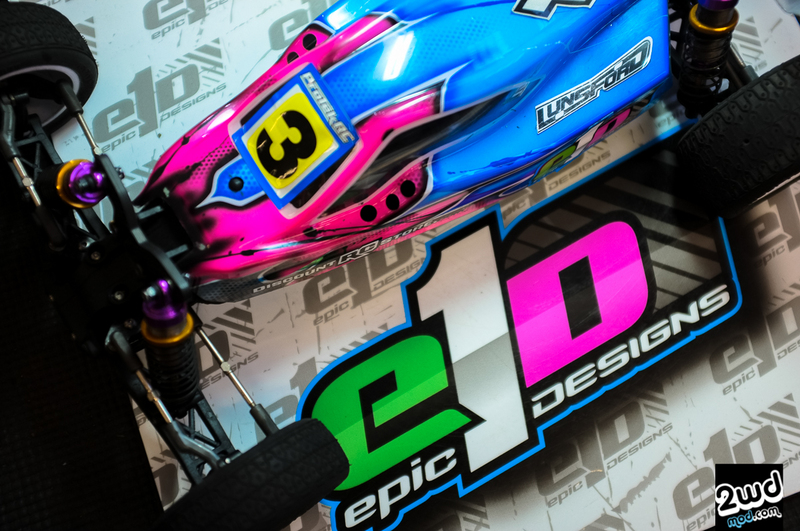 Epic 1 Designs is a new start up company that has one of the best products on the market for chassis protection. I am currently reviewing their product as we speak as I put it through the ringer for a durability test. Please stay tuned for my review of e1D’s Chassis Armor! JR Mitch with the new JConcepts Silencer 22-4 cab forward body. I got a chance to speak with JR for about his awesome blog. 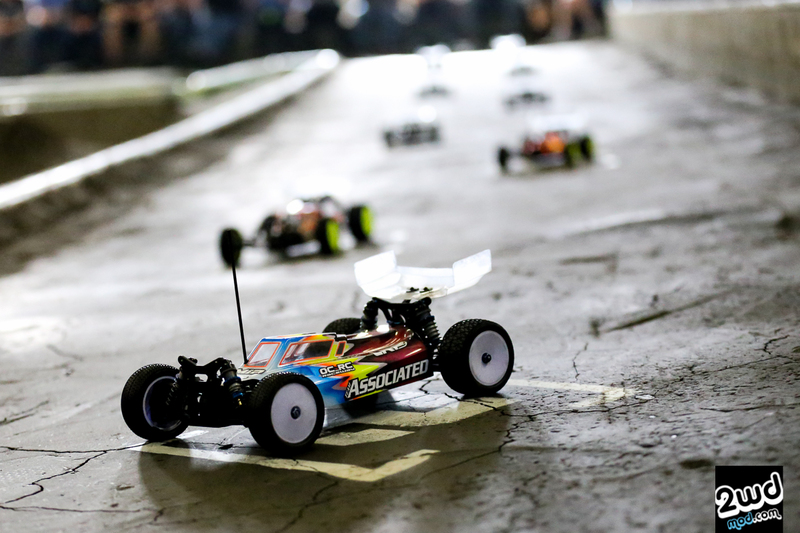 If you haven’t seen his racing blog, please check it out as he’s got great info and is more than happy to share the wealth of 20+ years of racing knowledge. 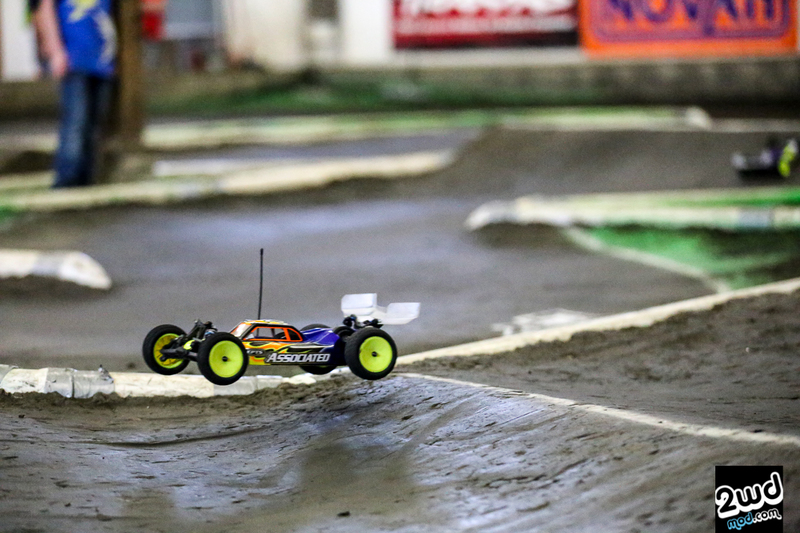 Him and I share the same unique love and goal for the sport….. trying to give back and make it grow, while working 40+ hours a week at our day job! See you in Chico JR! His shirt says it all. 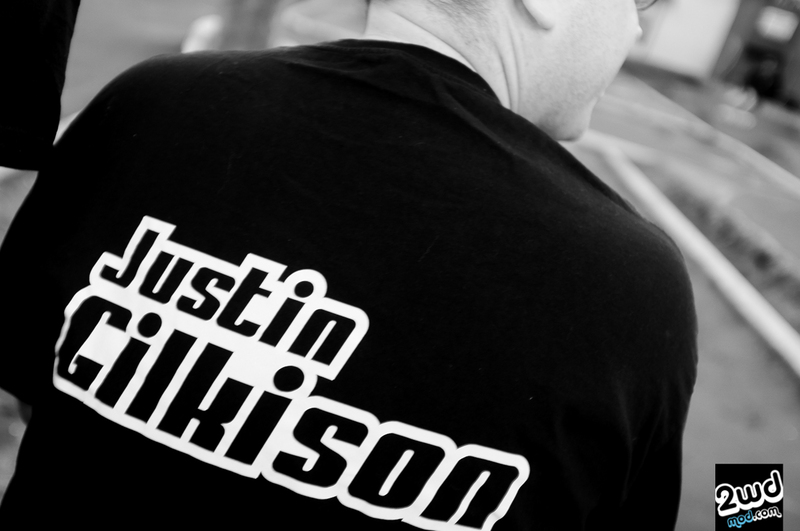 I was thinking it would be quite strange if this wasn’t really Justin Gilkison, but someone just wearing his shirt O_O. 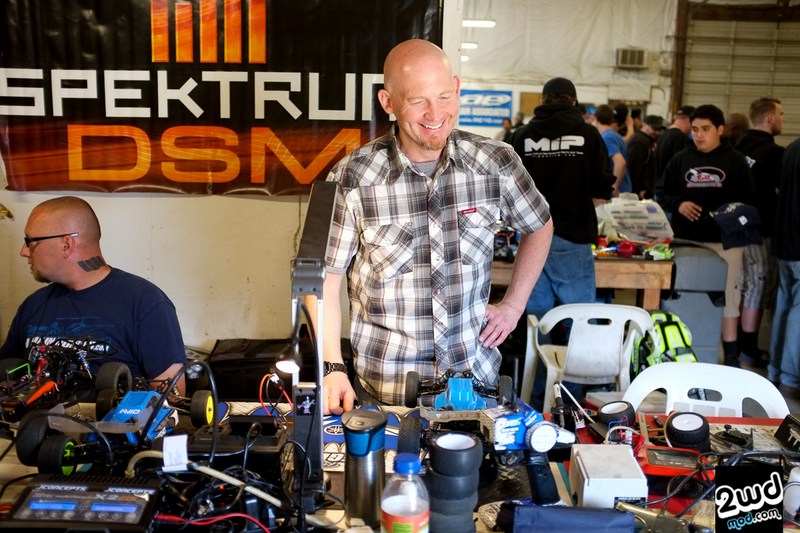 One of the nicest gentlemen I have the privilege to race with over the years… Say hi to Jack Leighan when you get a chance as he’s priceless to our racing community. 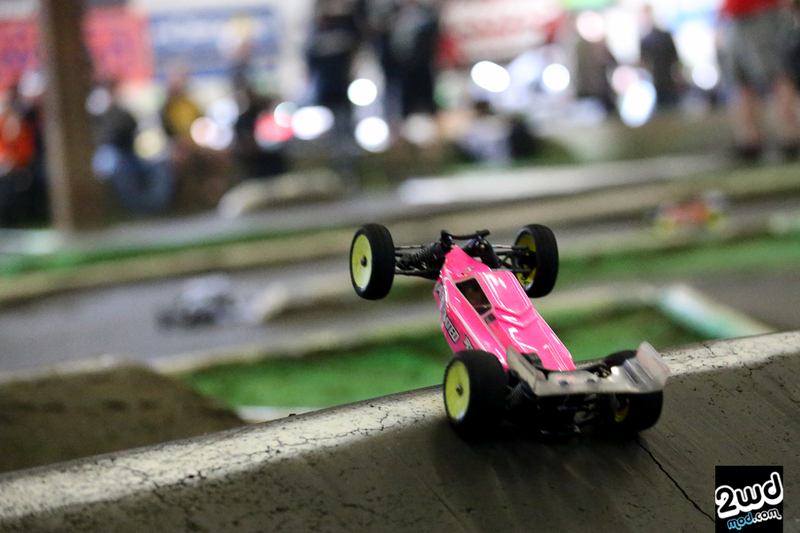 Kendra skying off the double and the only female racing in the coveted 2wd Mod buggy class! 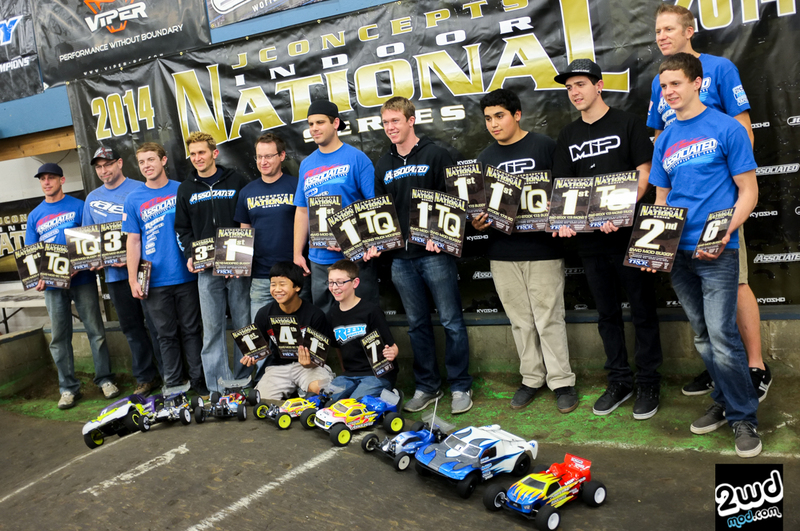 Team Associated plus MIP guys taking home some killer hardware over the weekend. One too many doods at this party? 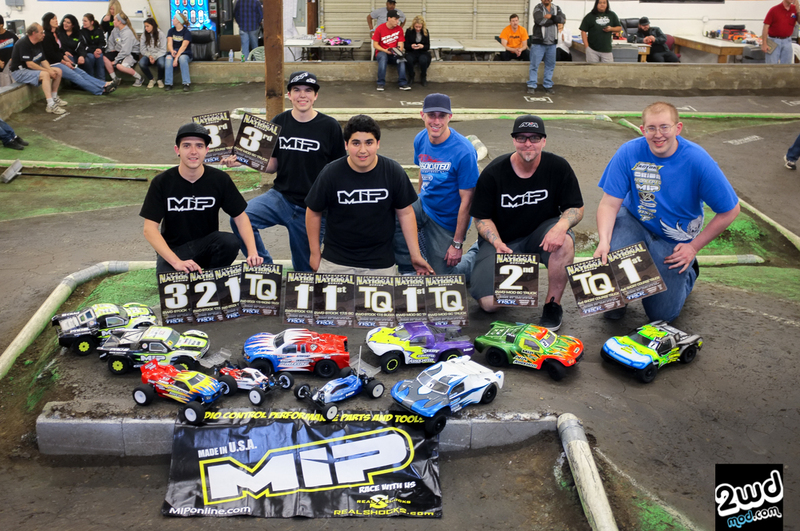 The MIP crew doing some serious work over the weekend. Their drivers are legit as well as their performance products. I believe they were testing a new lightweight bones system soon to be released. If you want to be at the elite level in stock, these are a must have to compete in their world. 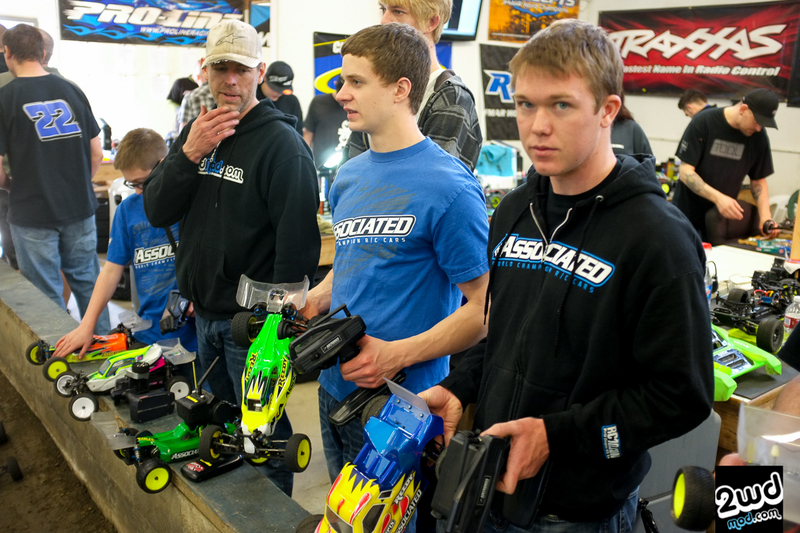 MIP’s Rudy Rico and Wayne Wyrick finishing 1, 2 in 2wd stock buggy…..there’s your proof. 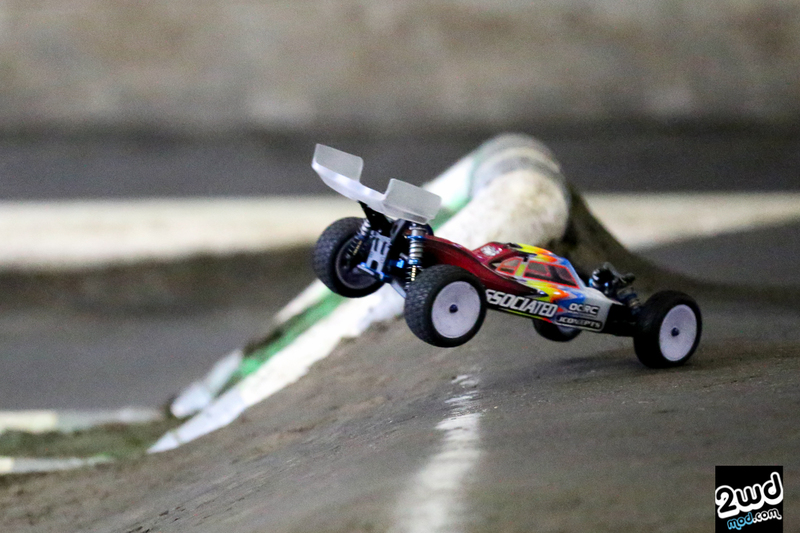 The tricky sideways step down and how to do it right by Dalton Shirk…… I think. George Cherry ready for take off. 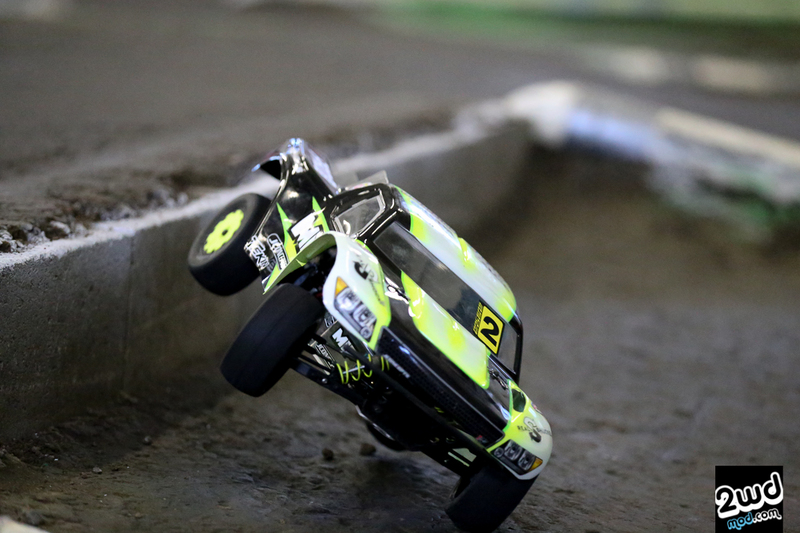 Matt Olson in 2wd with his Schumacher turning the dial past 10. Evan Margeson with his B5M. 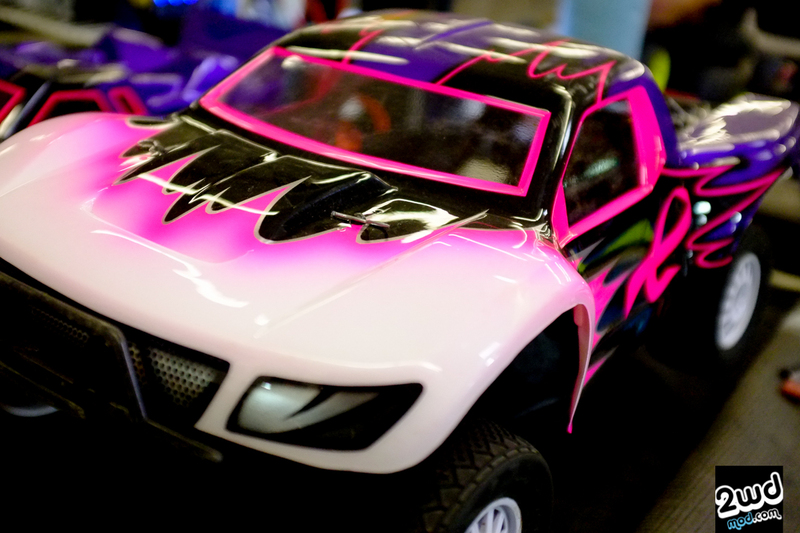 The best quote I heard from his lady friend right before his main was, “Dood ENOUGH WITH THE TRACTION ROLLS… NO MORE!! 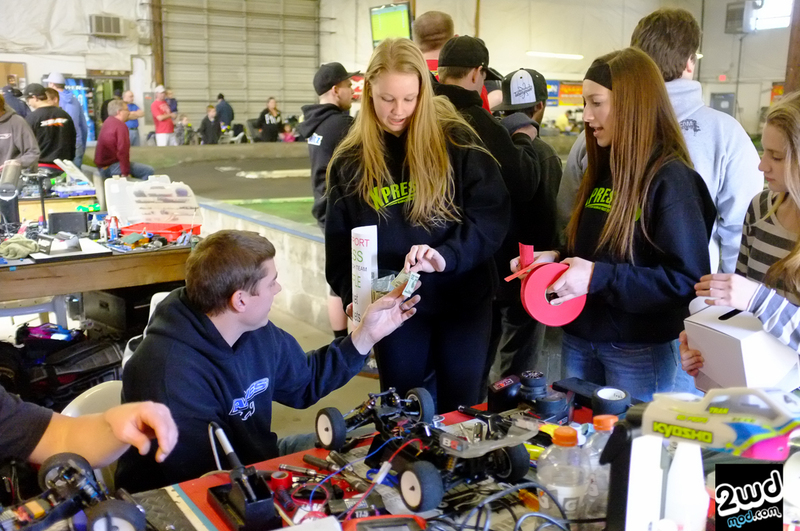 !” From the driver stand I could see Evan’s face with a big grin and a smirk….. knowing she was right. 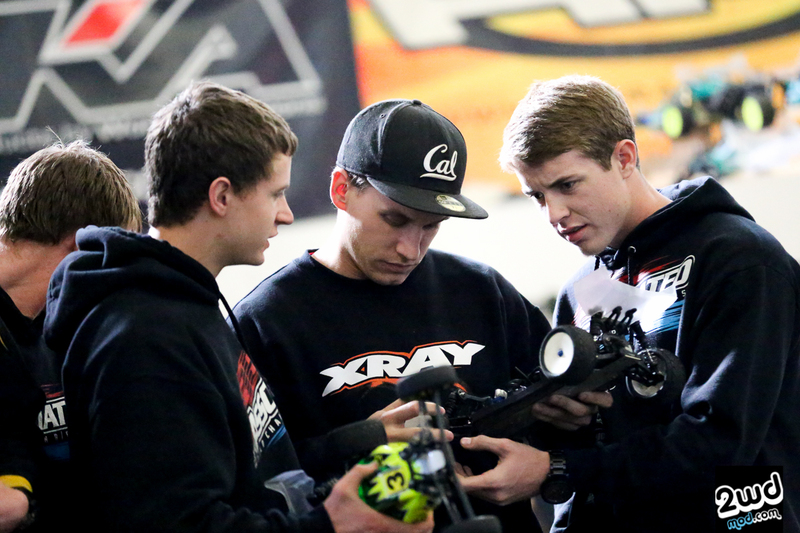 Luke Smith, Tyler Vik, and Tanner Denney checking out stuff…… “oh man, my shock nuts are no longer black.” Downer. 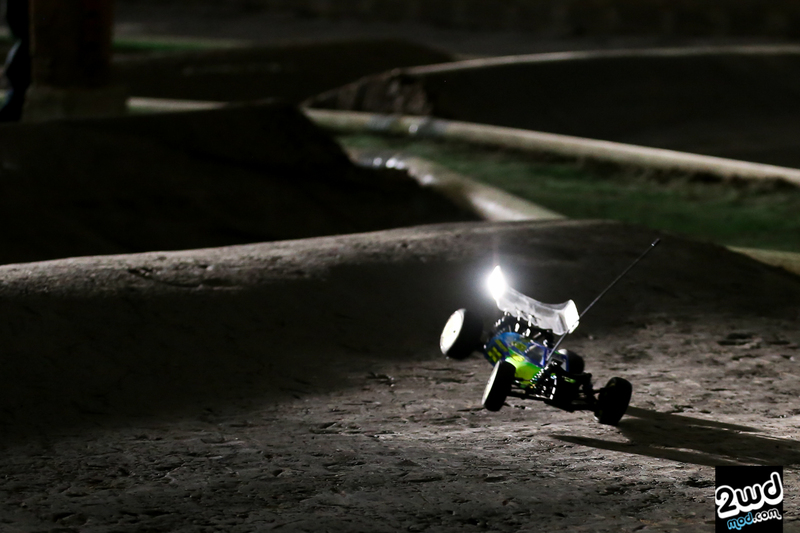 The most improved driver of the weekend award goes to this kid…. 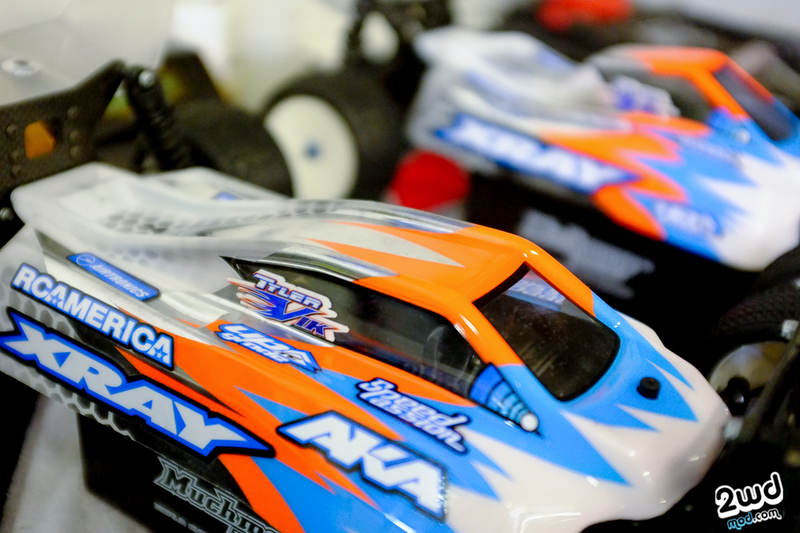 Team Associated’s Harley Yoshi. He keeps getting faster and faster every time I see him. Impressive young Harley. 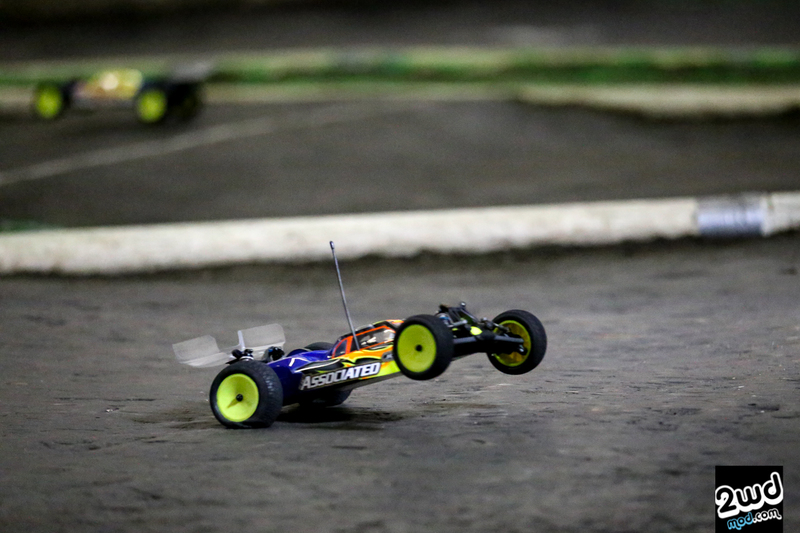 Team Associated’s Tanner Denney on the go. This was one of the hardest parts of the track. A little step up jump pie 180 thing. 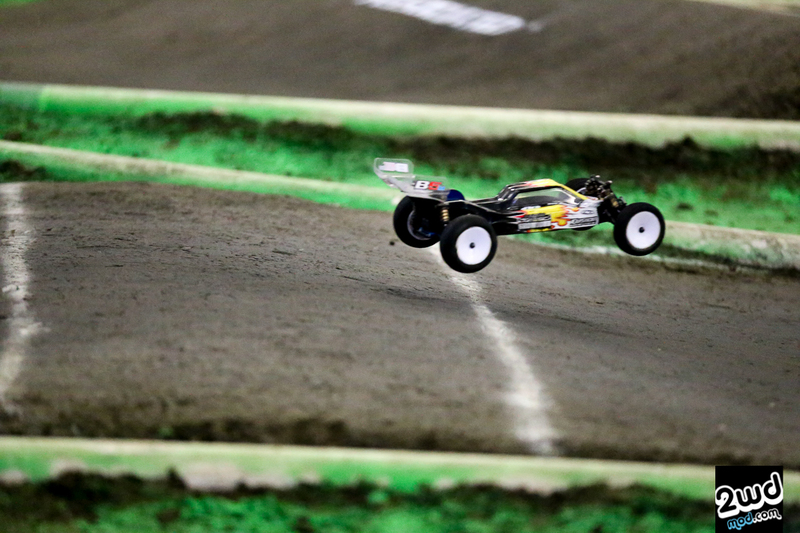 Anyways, here is 4wd WC Steven Hartson showing you how it’s done. Golden hour…..it was awesome and the window was short. 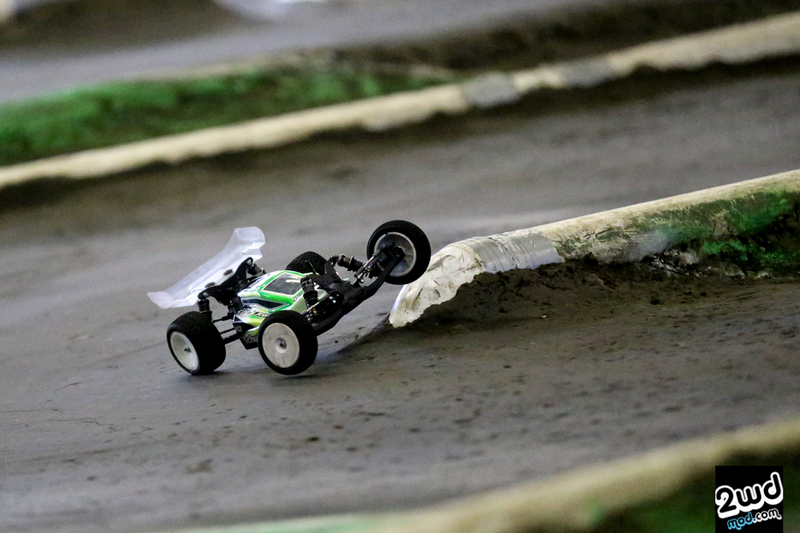 JR Mitch’s TLR 22 2.0 doing work. 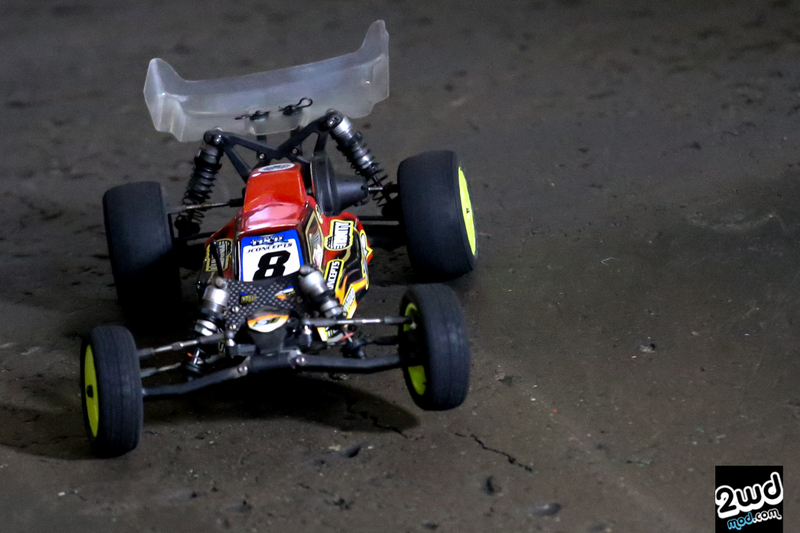 Luke Smith’s 2nd place start……… a view from behind says……it’s on like donkey kong! 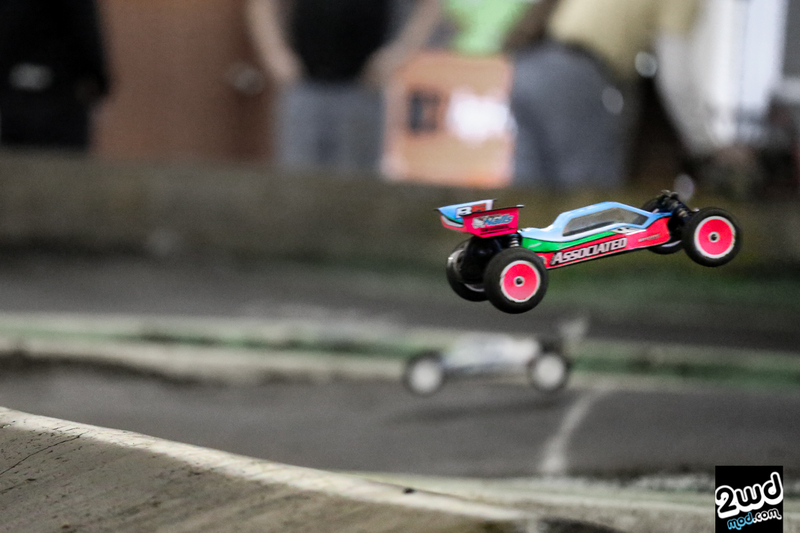 One of my favorite shots of the weekend. Jason Gainey in mod SC. 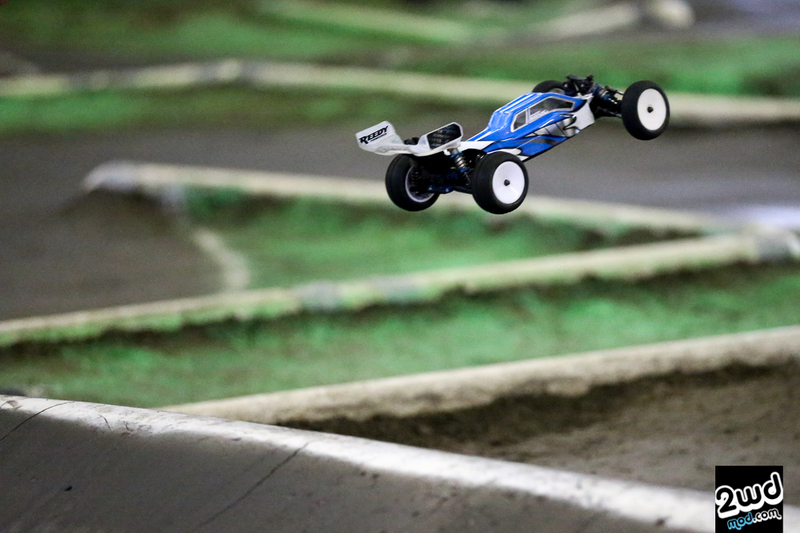 Gotta love the pop-a-wheelie shots. Gonna start building me a collection of these. 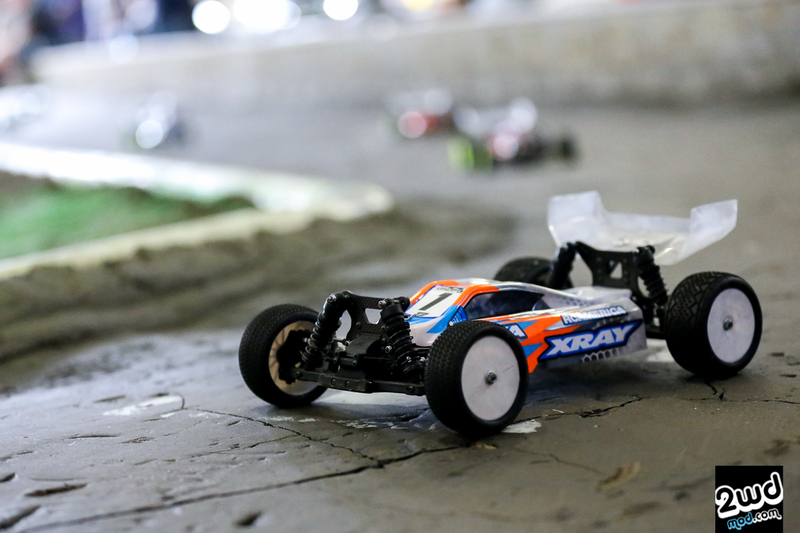 The current IFMAR World champion starting 2nd on the grid behind Xray’s Tyler Vik. The WC would take the win in 3! Awesome job Steven Hartson! 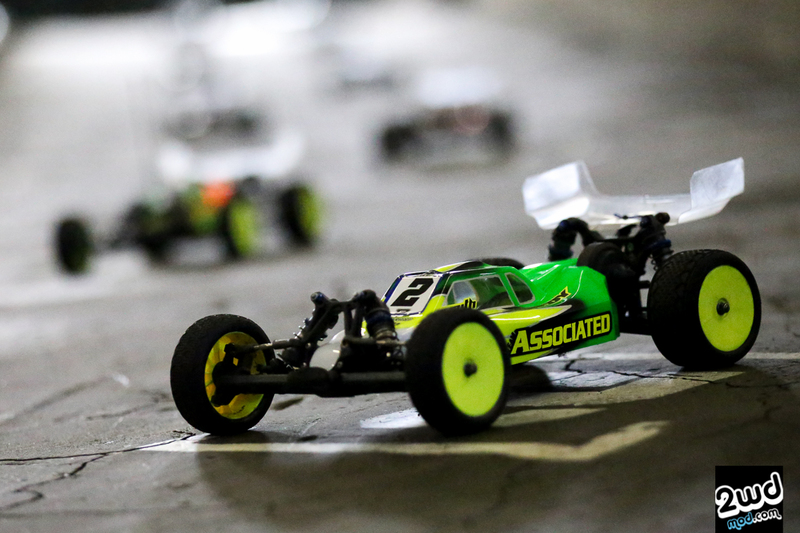 Tyler Vik’s XB4 on pole in 4wd Mod. Close quarters with Steven Hartson and Anthony Honstain. Double D making the move on the drop off turn. George Cherry in peace and harmony. 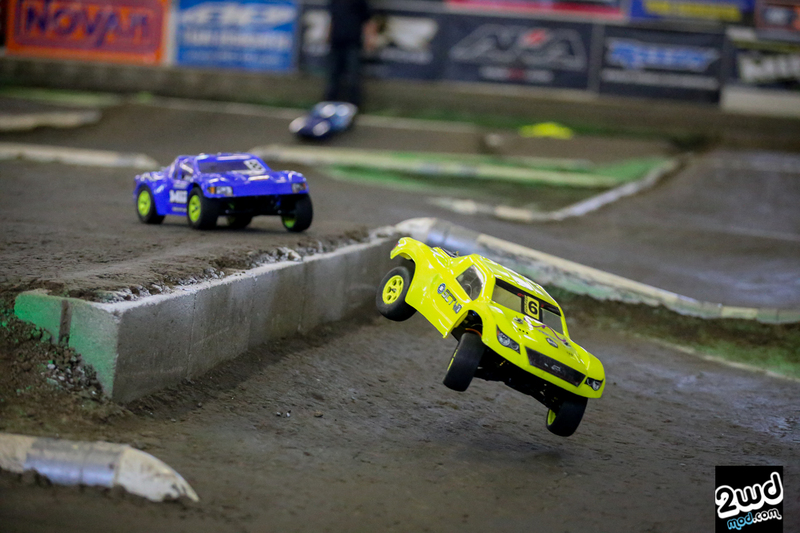 JR Mitch chasing Matt Olson in the 4×4 SC main for 2nd place. Sometimes you get those moments when reflection adds to the photo. It’s rare, but it happens. 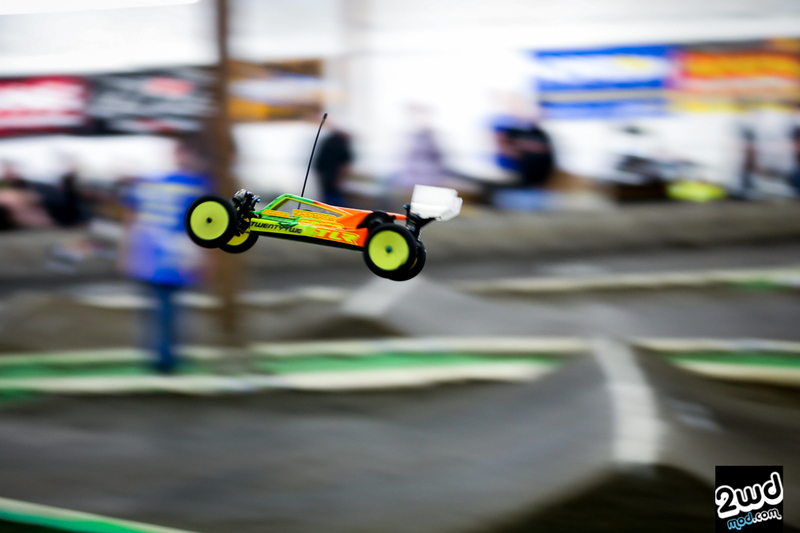 Thanks for stopping by and checking out the photo epic of the JConcepts Spring Indoor Championship Tour. I hope you enjoyed a glimpse of the view I had at this terrific race weekend. 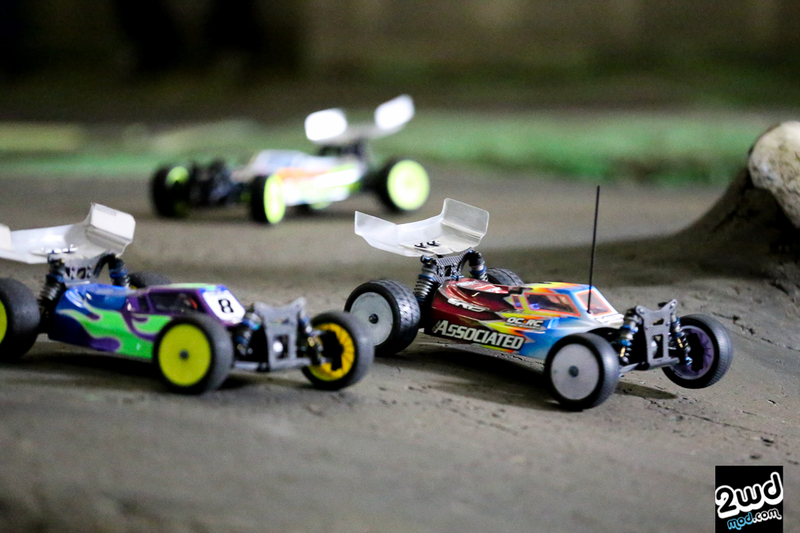 I think without a doubt, this race proved to be the biggest race of the year in the NW. 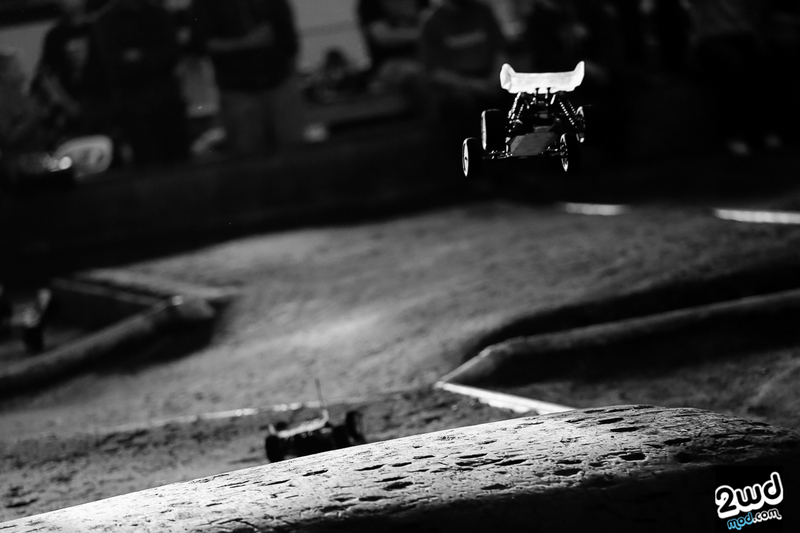 I can’t wait for next year as I’m pretty sure the race will be back and bigger than ever. 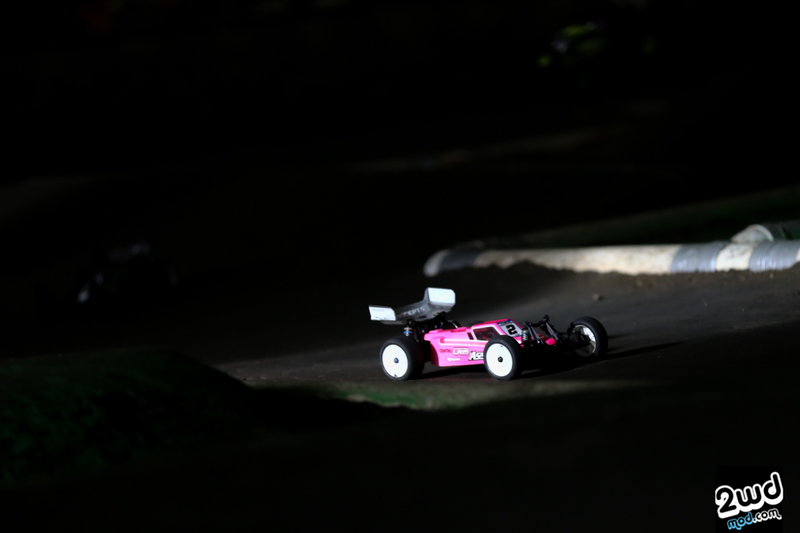 If you missed this one, the next JConcepts race will be in Chico, California, which I will be attending as well. Thanks and till next time! 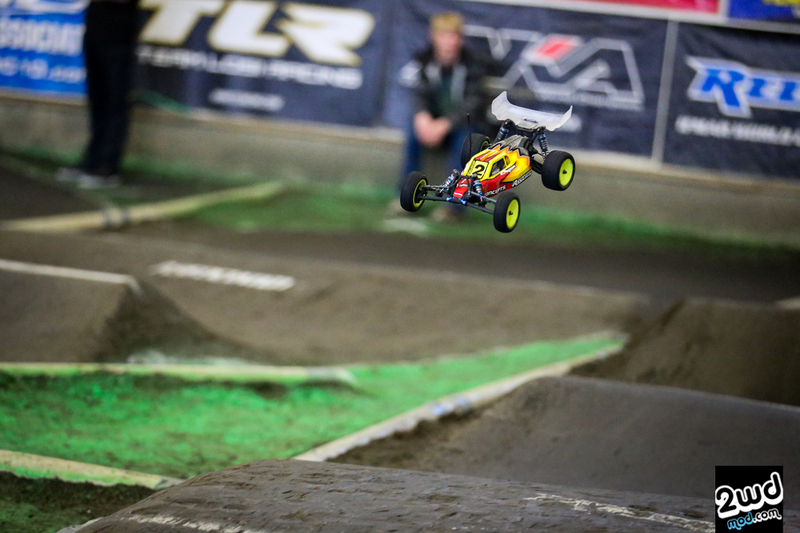 Tags: 1/10, championship tour, jason ruona, jconcepts, offroad, photo epic, spring indoor, team associated. Bookmark the permalink. Looks good and amazing photos. 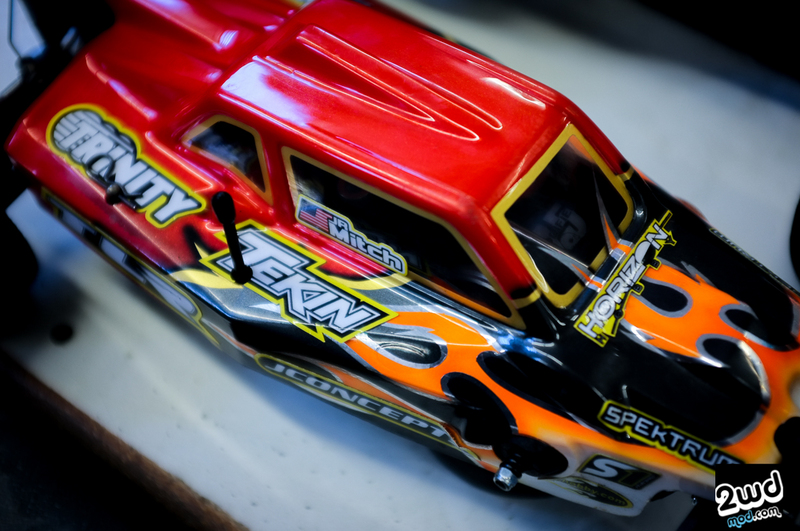 JR Mitch was using the new JConcepts Silencer body on his TLR 22-4. 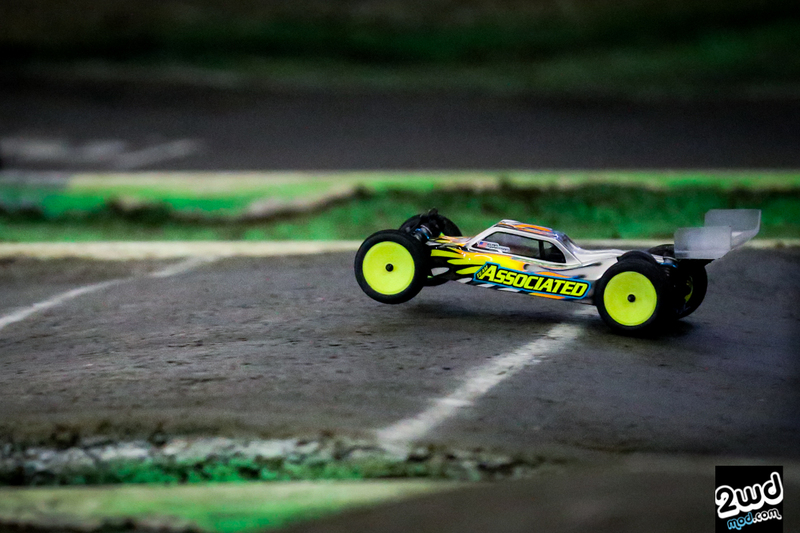 The way it’s worded seems to say it’s the new TLR body. Thanks Paul! The wording has been fixed and cheers for the correction.